Our list of movies in theaters in 2014 is even more accurate than the IMDB database. 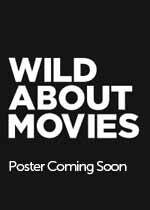 Click on any of the 2014 movie posters images for complete information about all 2014 movies in theaters, including trailers. We provide the complete list of 2014 movie releases by week of release. American Sniper, a 2014 theatrical release starring Bradley Cooper and directed by Clint Eastwood, is the highest grossing film of 2014, even though it earned over 99% of its money in theaters during 2015. American Sniper was released on 4 screens (in NYC and LA) on Christmas day 2014 but didn’t expand and open wide until three weeks later. On March 8, 2015 American Sniper became the highest grossing film at the 2014 movie box office, with just over $340 million, out-grossing Mockingjay Part 1, which had held the title for four months. (Mockingjay Part 1 earned $336.9 million at the box office during its theatrical run). American Sniper was nominated for six 2015 Oscars, including Best Picture and Best Actor. It won the 2015 Oscar for Sound Editing. 2014 at the movies promised to be an exciting one, with the remake of Annie, this time with an all black cast, a major motion picture directed by Oscar winning actress Angelina Jolie, Unbroken (based on the NY Times Best Selling book of the same name), a Veronica Mars movie, the third in the Hunger Games big screen franchise, Mockingjay: Part 1, (yes, the studio divided the book Mockingjay in two, so that they could capitalize on two movies), and the final in The Hobbit trilogy. A lot of sequels arrived in movie theaters in 2014, including A Haunted House 2, The second 300 film, Paranormal Activity 4, Captain America 2, The Expendables 3, X-Men: Days Of Future Past, Dolphin Tale 2, Rio 2, Sin City 2 and Dumb & Dumber 2, How To Train Your Dragon 2, The Hobbit 3, And the third The Hunger Games film. And remakes, (most, if not all, dreadful), including Robocop, About Last Night, Frankenstein and Hercules, (this one featuring Dwayne “The Rock” Johnson, in the title role). The Clint Eastwood Oscar winning Best Picture of 1993 gets a remake, in Japanese. As does Endless Love. (And Annie). Christopher Nolan, responsible for the Batman trilogy reboot featuring Christian Bale, is back in theaters as the director of Interstellar. Guardians Of The Galaxy is a Marvel inspired motion picture. A U. Mark Wahlberg takes top billing in Transformers 4. as Shia LaBeouf was canned from this fourth in the big screen Transformers franchise.